Two free downloads today! Two massive tracks! 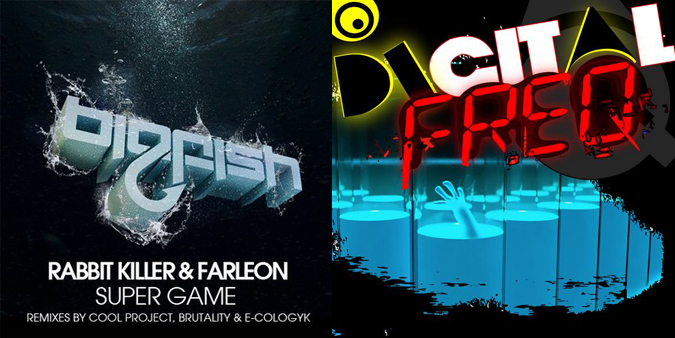 Both different styles of Electro House. While Digital Freq is more fast paced and epic with sound clips from street fighter (lol! ), Rabbit Killer is more light, funky and contains lots of cool 8bit sounds. Both worthy tracks for different reasons. Get them while they're hot! Hey awesome post! I like the pics "] especially the one on the right! Wow, this is a really good find. Check out my math blog. I'm all about that Street Fighter, son. Both of those had a pretty old school feeling to them. Something I could listen to back in like, 2001. Sadly my taste has changed. I'm slowly starting to be able to handle listening to electro after all these posts hshs! Street Fighter sounds like a mixture of Justice and Ratatat... awesome. I really appreciate the downloads for the songs you post, also, epic really does describe it! Love old 8bit sounds in dance tracks. I preferred the Rabbit Killer one, but it could be just because I like 8-bit sounds. Although assaild with fortune fierce and keen, Following! In Helicanus may you well descry Following! Yeah I like Rabbit Killer, very funky. Quite nice music, but I've been listening to too much electro lately. think i like the second best...thanks for sharing! Both very good songs. Very "in your face"! I think I'm going to agree with Melanie. This is one of the best songs I've heard on blogs so far! At least for now. :D Can't wait for your next song. Liked the first one...the second one could be good, but something just seems off to me.